CH Clepitt is a smashing writer - follow the keywords at the bottom and you'll see I've raved about her books before, from the Crew Chronicles through to her novel I Wore Heels To The Apocalypse. 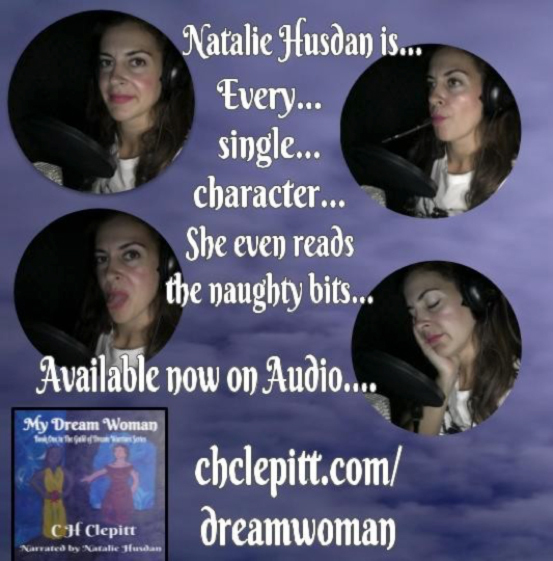 Her latest series is now available as an audiobook - and I offered a spot of space to the blog for CH to tell you all about it herself. Take it away, CH! My Dream Woman, written by C H Clepitt and narrated by Natalie Husdan is available now as an audiobook. When your dreams are real there’s nowhere to escape! Andi is just holding it together. Working two jobs means she doesn’t need to rely on anyone, but doesn’t have much of a life. In her dreams, however, she is a hero: battling monsters and saving innocents. When her dream woman turns out to be very real, Andi’s life begins to spiral out of control. I loved writing My Dream Woman and was thrilled with the response it received from readers. Hearing it brought to life was absolutely amazing, and Natalie Husdan does a superb job - every single character sounds just as I imagined them. I could not be more pleased with the finished version. 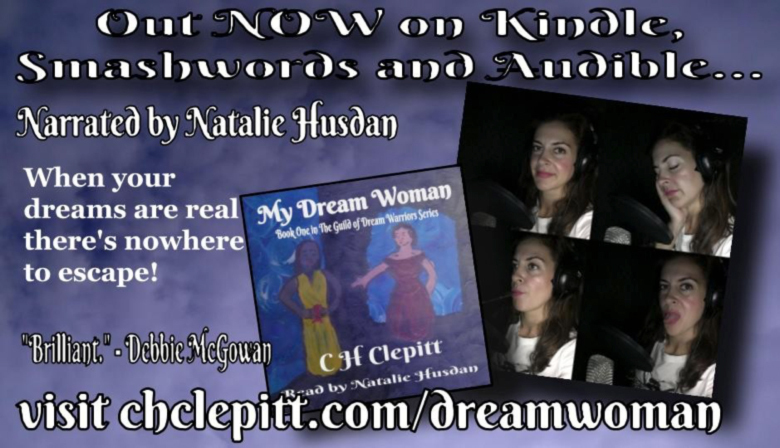 My Dream Woman was so enjoyable to narrate because there were numerous different characters to voice and the writing switches continuously between the real world and the dream world of the main character Andi. The action scenes were fast-paced, exciting and frequently humorous, something I've not voiced before and I found the attraction and love story that grew between Andi and Dionne quite unique and moving. Anyone into romantic, action or fantasy fiction will enjoy My Dream Woman; it's a fluid read with a satisfying ending that leaves you wanting to read more in the series.